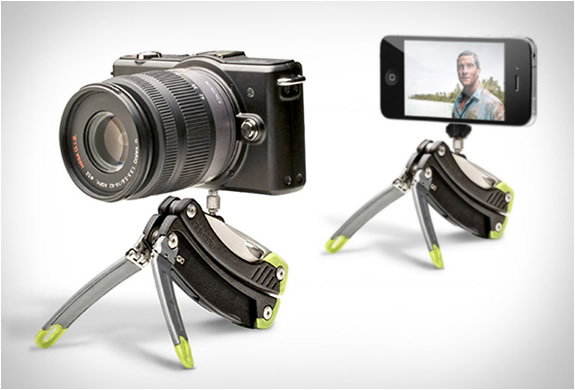 This Gerber Multitool is the hiking photographer’s friend if you don’t want to carry your one pod or threepod and need a steady point for your camera or phone – BTW I’m curious how long it will take before cameras will be obsolete at all with the current pace of development of high quality photo taking abilities of phones. 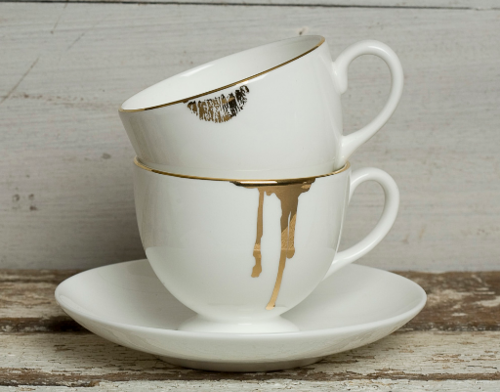 If you are not into coffee, you might like Drip Tease and Lip Tease teacups with saucers in gold by Reiko Kaneko in your hotel room…..
via With a Dash of Gold. 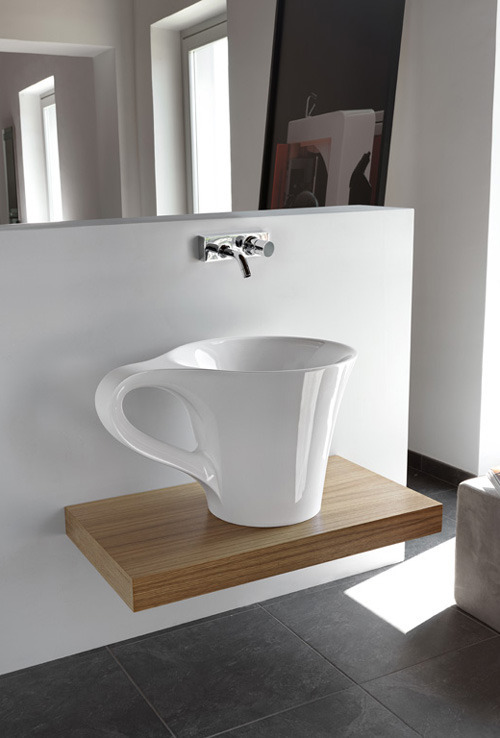 Via moggit: If Coffee Comes Out Of The Tap–. 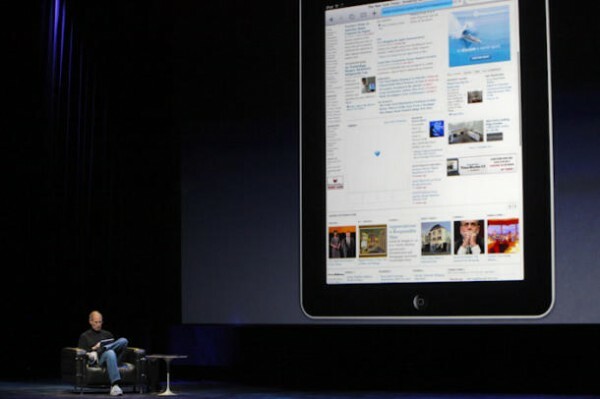 In an impressive presentation Steve Jobs introduced the world to the IPad. In the preamble Steve explained that Apple is by now bigger than Nokia, Samsung and Sony profitability wise in mobile devices…It may be assumed that it will be rolled out big 60 or 90 days from now. 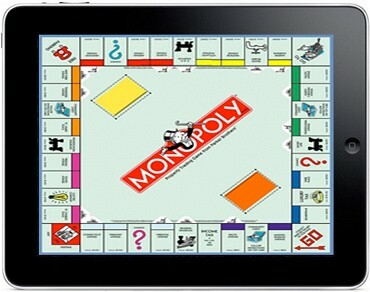 My main question is: Will you be able to leave your laptop (or eee netbook) home for an Ipad? 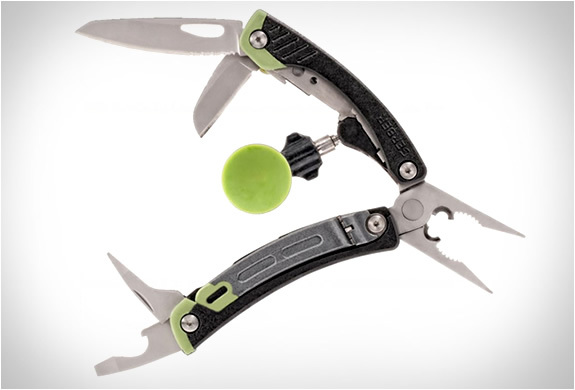 If so, it is a must have. You can e-mail, write, calculate and make key note presentations with it, browse the web, watch photos and videos with it and listen to your music library. It will depend on its touch screen typing capabilities, but even if that is substandard Apple has thought about a docking station with type pad. It seems that by its sheer browsing capability it will enable the travel community to forget about the hassle of adapting their websites to mobile devices with various operating systems. 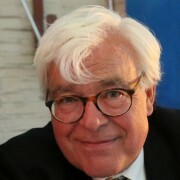 One aspect is that -as Steve Jobs puts it “standing on the shoulders of Amazone’s entry into reading e-books with its Kindle – It incorporates e-book reading. On the basis of the well known Itunes shop model, Apple has lined up 5 major book publishers to sell books through a new IBook shop. As of yesterday it will be start negotiating with many other book publishers. Hurray, back to downloading the good old travel guides onto your Ipad before you go. When I go on holiday, I usually take a couple of good books with me. Now I can carry those in my IPad, which will spare me a couple of kilos weight in my luggage: Poor Airlines who are just trying to get us used to surcharges for our luggage. Apparently Apple is also trying making a dent into the augmented reality scene. With a built in GPS and leaning on Google Maps, it will be amazing how fast you will get a bearing and will be able to collect tidbits in an efficient manner about the location where you are. And you know what? No more need for a paper photo album anymore…you’ll now have a wedding album/slideshow/video on your IPad..and can carry it around the world with you. What happened to the vintage Nested Suitcase Design? 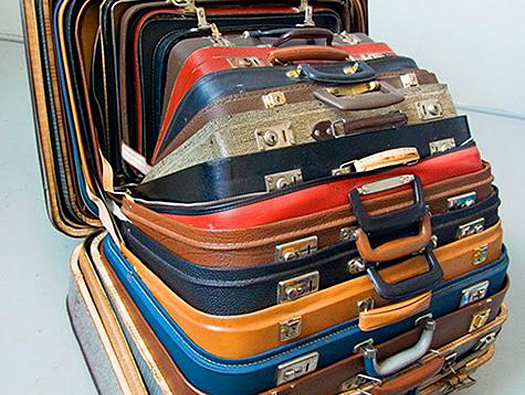 Via Cribcandy I came across this vintage nested suitcase installation. Cribcandy found it on Mocoloco and Mocoloco found it at Design*Sponge. It made me wonder what designers do nowady with this perfectly pratical idea. If you travel you can’t have enough suitcases, but at home those darn suitcases take a lot of space…what better than to nest them in storage? I did a quick image search on Nested Suitcases, but couldn’t find any eye candy design. Did I overlook something or is the idea obsolete and am I only nostalgic? Author gjePosted on January 26, 2010 February 28, 2016 Categories Design, Gadgets, Travel2 Comments on What happened to the vintage Nested Suitcase Design?